Two candy reviews from the same store back to back? Yup! Those jelly beans were so bad that I had to review something else to get the bad taste out of my mouth. Oddly enough, these were also on sale at Target, and like Starbursts, this is another candy aisle staple that rarely disappoints. Sure, I wasn't a huge fan of the Paradise Mix, but the Tangy Collisions, Wild Berries and standard mixes are awesome! Let's hope this will do the trick and lift my sugar-infused spirits. I've already reviewed two other flavors from this line, and other than the colors and fruit imagery, nothing really changes, so I'm going to skip over the packaging and get right into the review. Mandarin Orange (orange) - Pretty accurate mandarin flavoring with some throat-burning sweetness that gives me Ecto-Cooler flashbacks. I feel like it's a little too one-note for solo snacking, but it blends in nicely with the other flavors in this mix. Lemon Star Fruit (yellow) - Oh wow, it's really refreshing. Right away I can tell that there is lemon in this one, but never in a million years would I think the other flavor it's combined with is starfruit. Still, I might not know exactly what it is, but I know I like it. Great flavor, and I wish there were more of this one in the bag. Raspberry Dragon Fruit (purple) - Another really refreshing flavor. The raspberry is pretty prominent here, but the dragon fruit brightens things up and saves this from being too one-note. Without reading the flavor name on the bag, I thought this was some kind of sour grape mixed with either raspberry or blackberries. Fuji Apple (red) - One of the best apple flavored gummies I've ever had in America. To me, this tastes like a gummie version of Snapple Apple. Even with it's chewy texture, this flavor is crisp and very authentic. I was shocked by how good this one was. 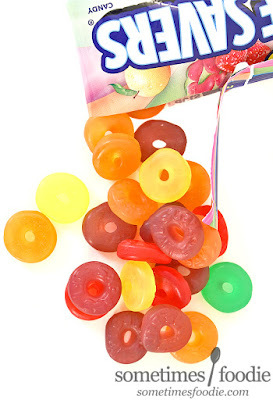 Lifesavers Gummies deserve more recognition and love from the candy eating community. These little gummy "O's" deliver unique flavors and mixes to keep consumers on their toes and most importantly, they actually taste good! They make some of the most flavorful American gummies out there, and this mix is practically perfect. Although the Lemon Star Fruit is my absolute favorite, there's not one flavor in this mix that I dislike and shy away from. 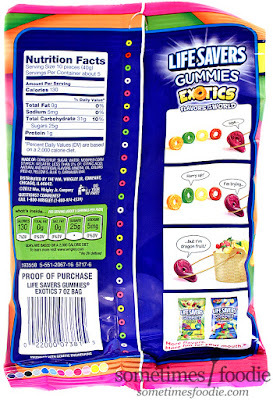 After those awful Starbursts (something I never thought I'd say), these gummies are a welcome flavor oasis, and they were cheaper too! 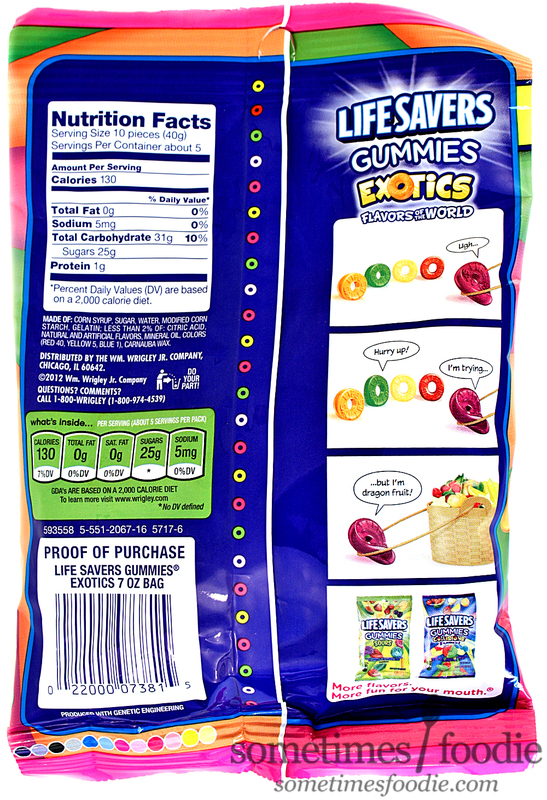 If you like gummie candy, this is a great mix with some really refreshing and unique flavors you won't find anywhere else. 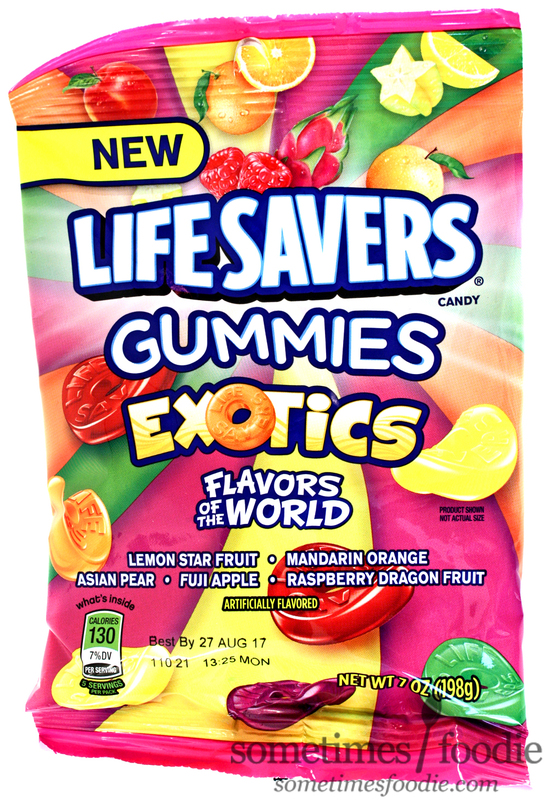 I highly recommend this mix, and I'm excited to see what new flavor mixes Lifesavers has up their sleeves for 2017. Fuji apple gummies, who'd have thunk?